You are currently browsing the tag archive for the ‘Treescapes’ tag. 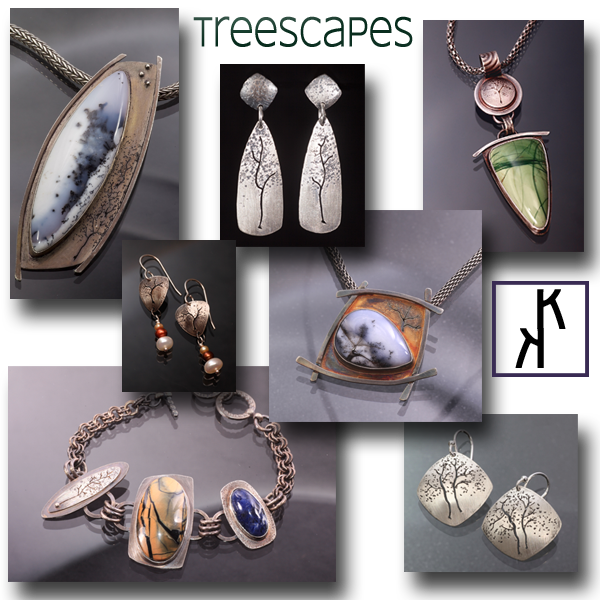 I have been focusing a lot of my attention on creating Treescapes. 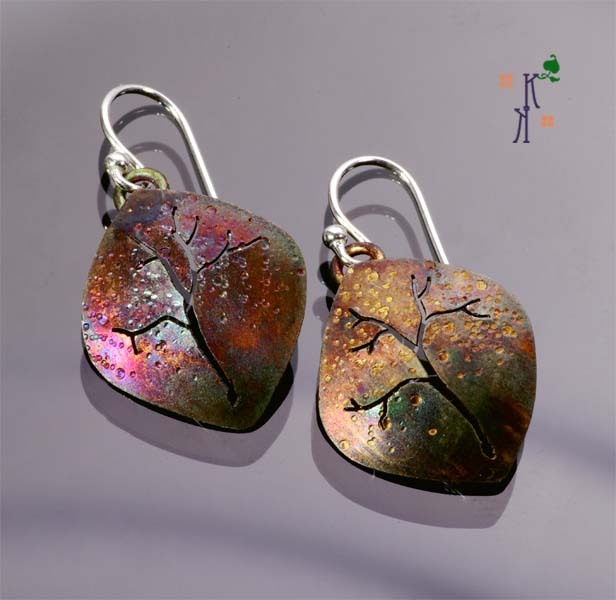 They continue to evolve and I like the direction the pendants (and earrings) are taking. 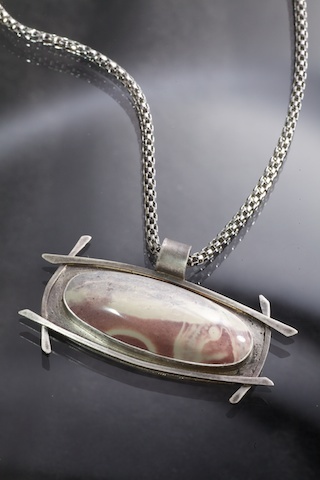 While I will continue to make pieces that are ‘framed’, right now I find the clean lines that are simple showcase the stones and the tree shape in a classic way. 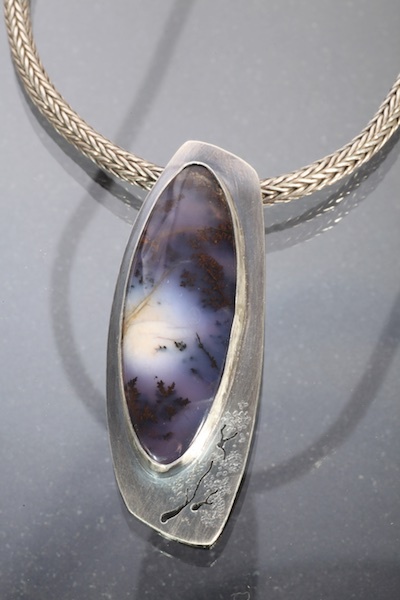 Dendritic Opal, pale lavender hue in the stone, set in Sterling. 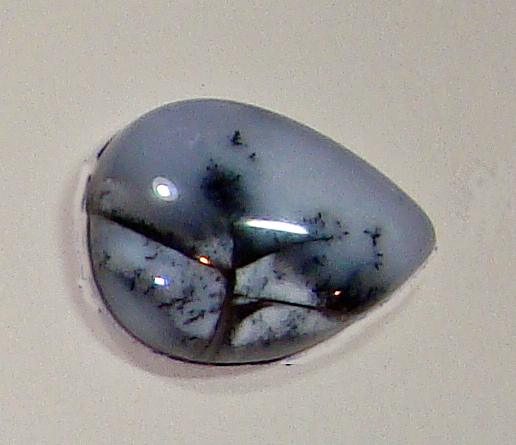 Classic Snow White Dendritic Opal set in Sterling. 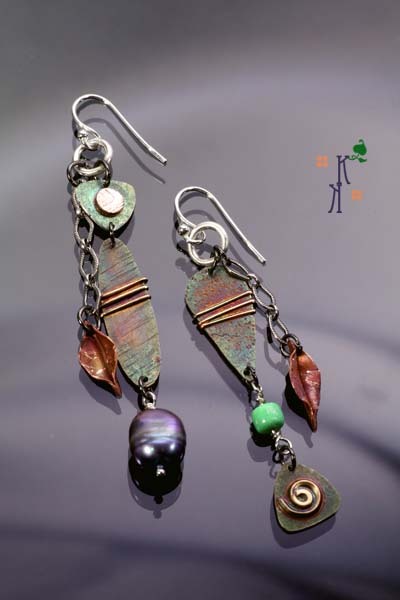 The patina created a colorful fall leaf look. These sort of look like a Treescape forest to me. Lots of inspiration for some of the current Treescapes has come from a little Bonsai Tree I recently acquired. 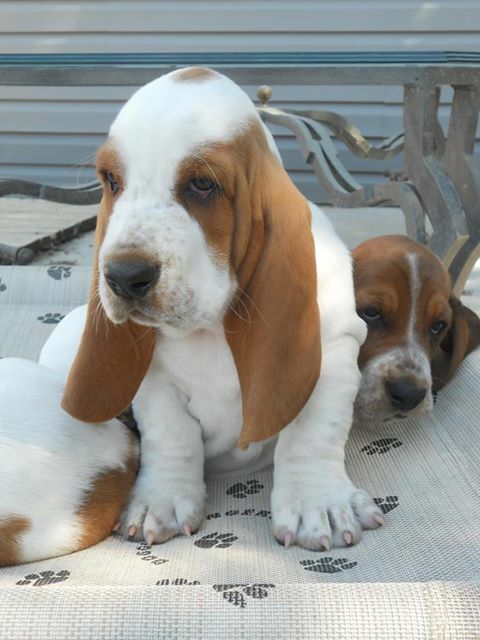 It has a great twisted trunk with such a graceful shape. 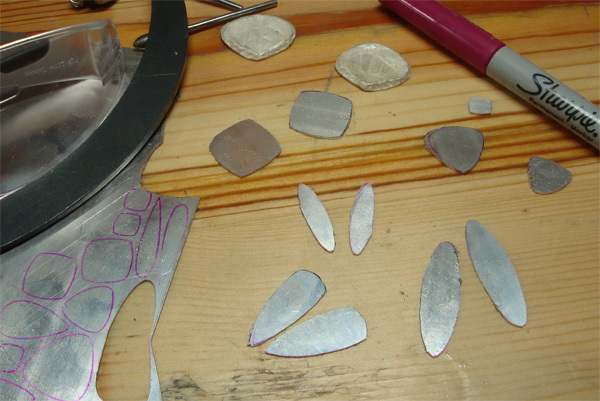 I can see its influence in some of my recent pendants and earrings. 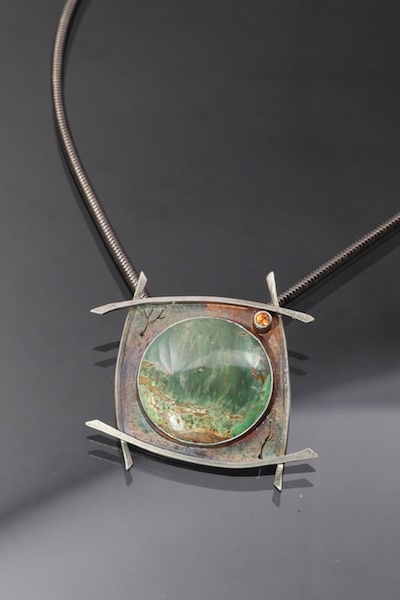 Deep green Variscite set in Sterling; my signature Treescape design. You can find these and others at my upcoming events. Sign up for my newsletter to get the latest information. Until next time, I continue to aspire to be more as a person and an artist. 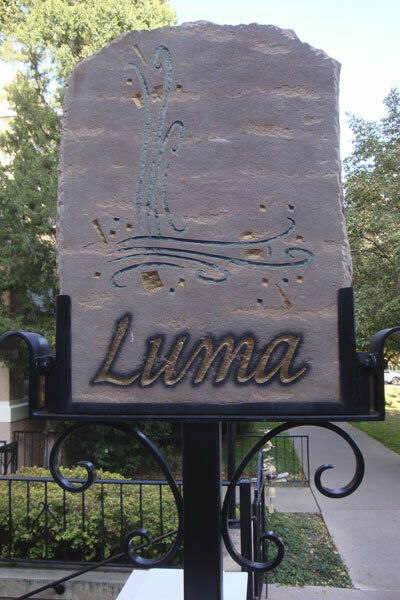 I am very happy and honored to announce that my work is now available at Luma located at The Broadmoor in Colorado Springs. 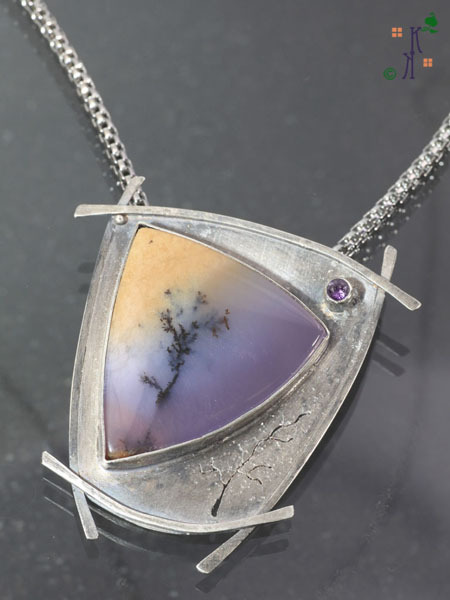 I had the good fortune to meet Cathy Coleman, owner of Luma, during this year’s Front Range Open Studios Tour. First, let me express my heartfelt thanks to the tireless efforts of the tour founder, Nancy Bonig, who promotes the artists on the tour with a passion that is uniquely hers. Nancy, your efforts for all of us is greatly appreciated. You see Nancy visits numerous merchants in Tri-Lakes and Colorado Springs, where she knows people would be interested in the artists on the tour. 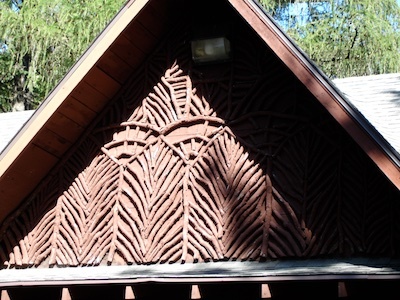 As a result, many of us are visited on the tour weekend by people looking to find new artists, see the quality of our work and explore our studio spaces. They want to see and hear what we do. 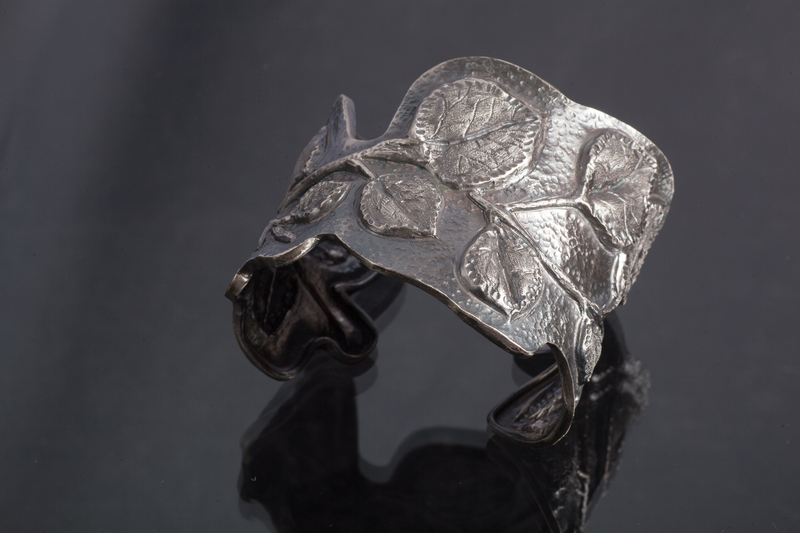 I thoroughly enjoyed discussing my love of working with metal and creating my art. The tour gives me a chance to show people my studio, the tools I use to create my work and demonstrate a few of the techniques. It is a blast to see their expressions when they start to understand what goes into creating artwork. During the tour weekend, Cathy and her associates stopped by my studio. 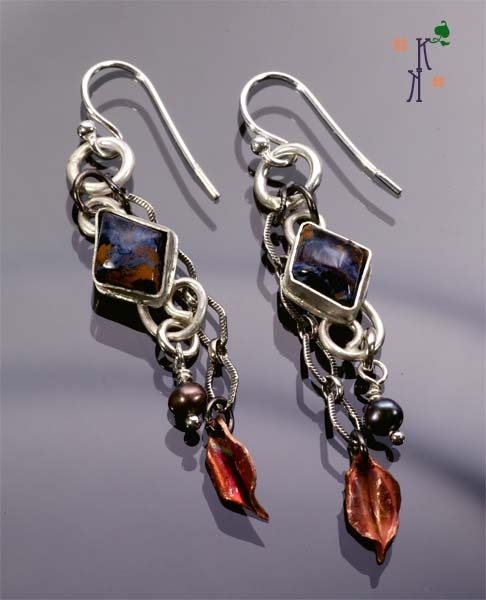 We visited, she liked my body of work and her friends bought a couple of my earrings. She wanted to represent me, we made arrangements to get together and it became official on October 17, 2013! Yesterday afternoon I delivered my first group of items. 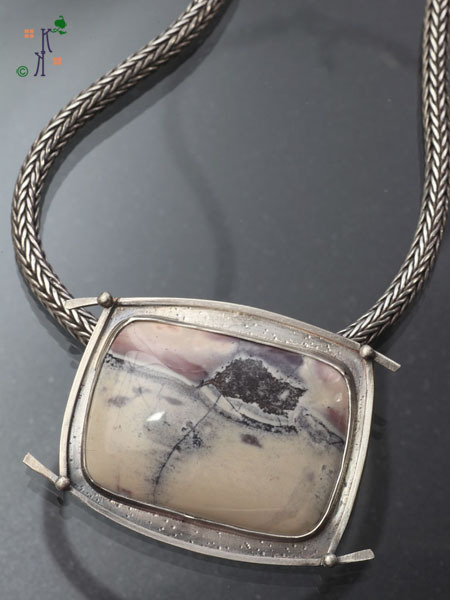 Let me tell you, Luma is a beautiful, upscale gallery located at The Broadmoor. 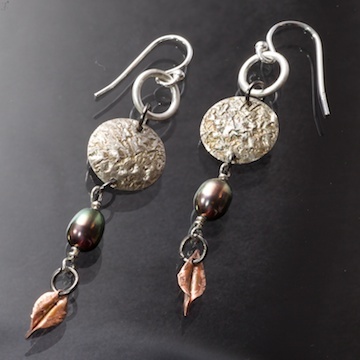 Classy, elegant and stylish sums up the variety of art works Cathy has selected for Luma. I am so grateful for this opportunity and look forward to our collaboration. My work will be in this section of the Luma gallery. This is a dream come true for me as another one of my goals has been achieved. 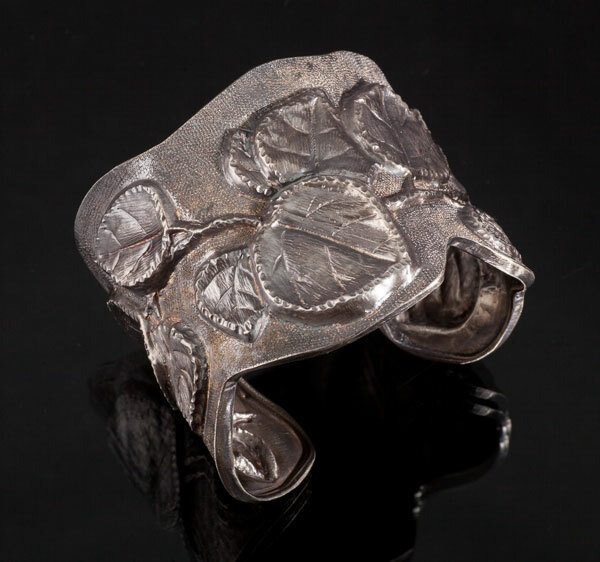 If you live in the area or ever have the pleasure of staying or visiting The Broadmoor, please stop by Luma and see all the wonderful works of art. 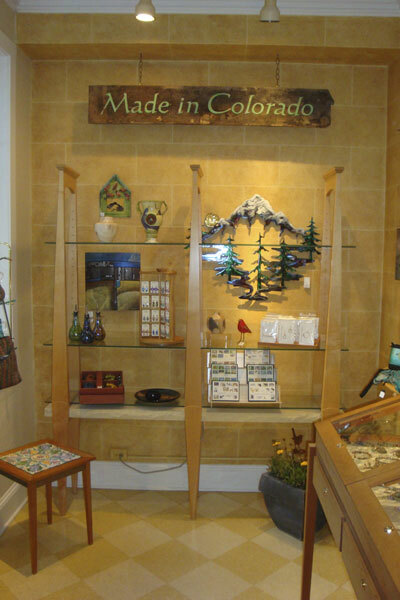 Oh yes, and please check out the “Made in Colorado” area as I’m sure it will delight; look for my Treescapes too. 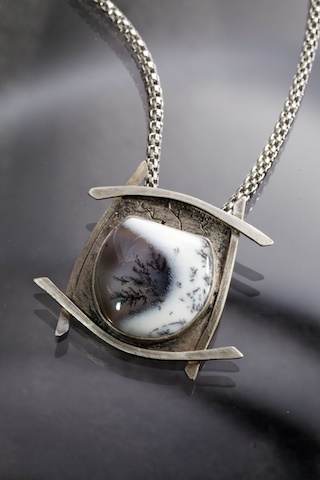 This is one of my new Treescape pendants available at Luma. 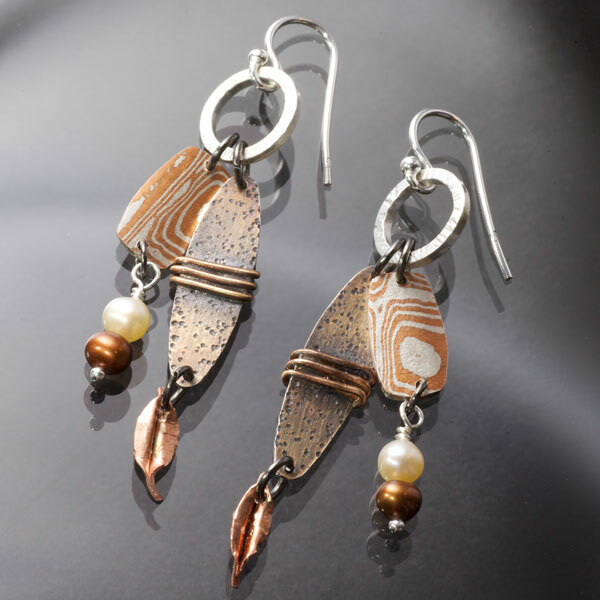 It is a Burro Creek Jasper set in oxidized sterling silver. 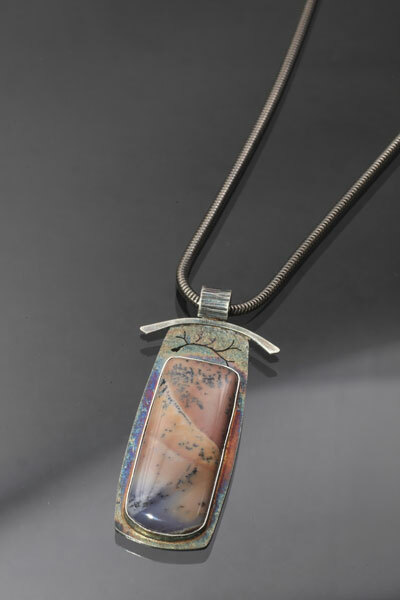 The soft mauve tones in the stone made me want to play with the oxidation colors for the metal so they would give the right color compliment. I added a bark like texture to the bail and kept with the Oriental theme of this series with just the top curve that reminds me of a Pagoda. 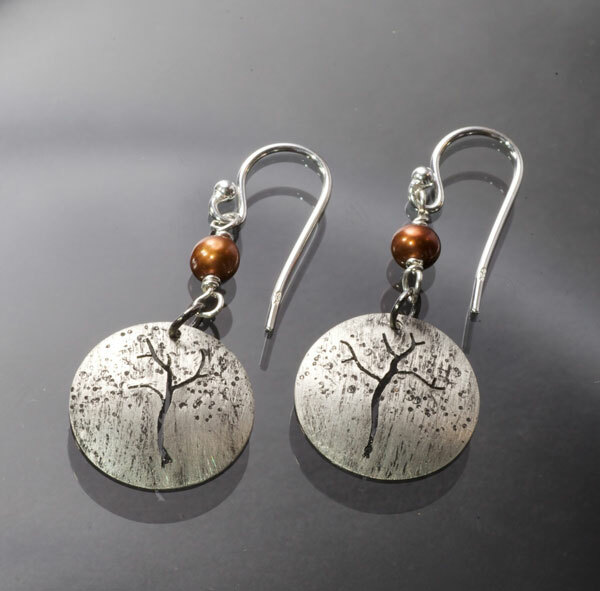 There are Treescape earrings like the ones pictured above, along with a nice selection of Express Yourself (with a little touch of Colorado) earrings similar to the pair pictured below. I had the pleasure of meeting the gallery mascot, Andie, who is a friendly little Schnauzer that wins the hearts of everyone she meets. She may have more fans than any of us, but as you know, I am terribly fond of animals as I find they add so much to the quality of our lives. 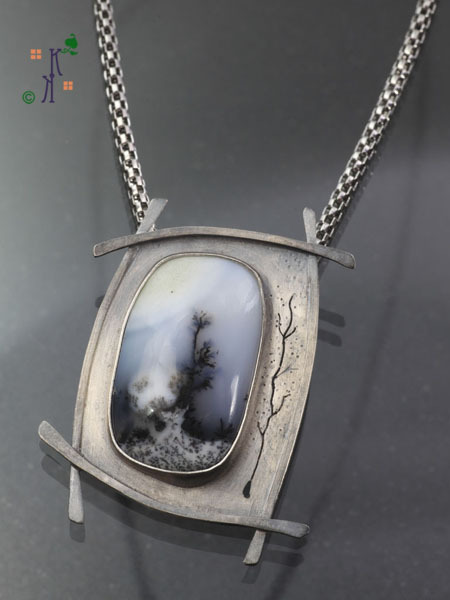 Every year, something wonderful comes from being a part of the Front Range Open Studios. You never know when you will meet someone and opportunity knocks. Thank you Nancy for the work you do for all of us who are part of your tour. And thank you Cathy for visiting my studio and inviting me to be a part of your gallery. Dreams do come true. Hard work does pay off. Set goals and diligently work to achieve them. The Affirmation of a Little Red Dot! Isn’t it funny how something as simple as a little red dot can bring joy and affirmation to an artist? The little indicator that your work has sold. Thanks to my good friend and fellow artist, Nancy Tanner-Bonig, I have this photograph of a little red dot showing that one of my Treescapes (The Journey) sold during the Art of the State Exhibit at Arvada, CO. Nancy caught the show on its final weekend. 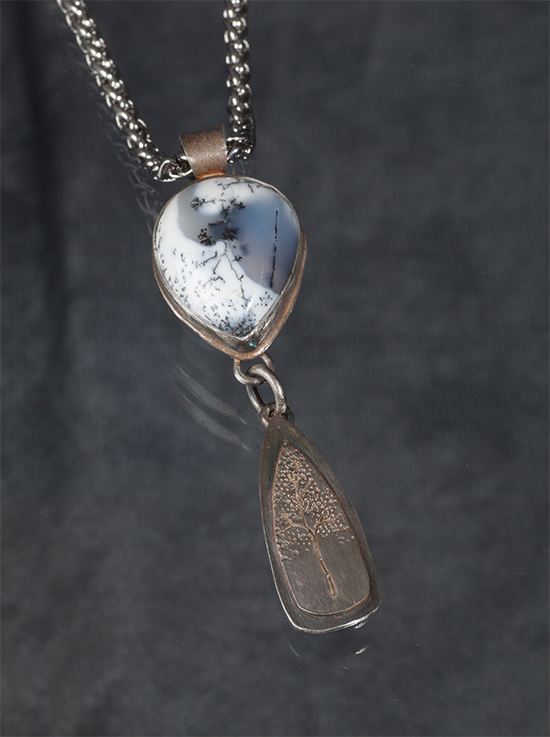 Yesterday, I got a note from the show director saying another pendant sold! You see, after last weekend, the show was taken down and items were being prepared to be shipped back to the artists. Apparently, a gentleman called and said he was interested in one of my pendents he had seen over the weekend. Sure enough, he bought Reaching for the Sky! Reaching for the Sky – SOLD! 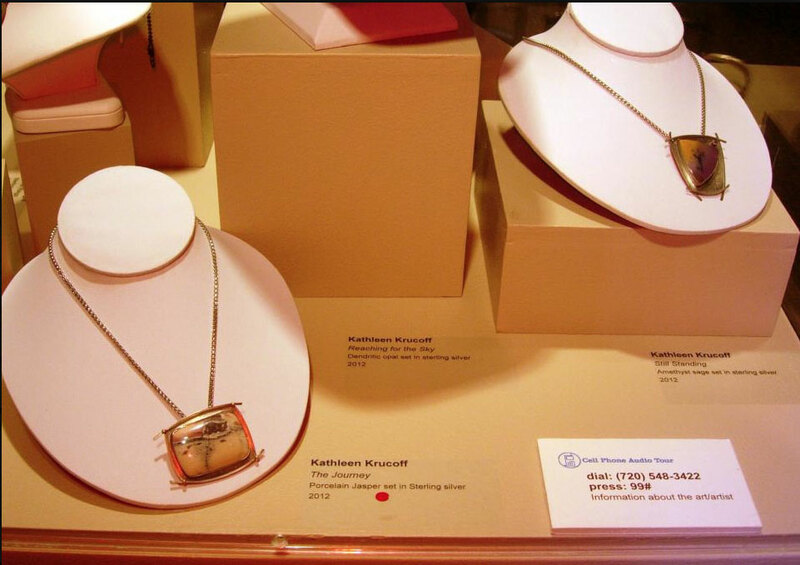 I am so grateful that two of my three pendants in this exhibit have found their way to their homes. Still Standing (in the upper right of Nancy’s photo & shown below) will be returning to me…..and will seek its owner someday in the future. My thanks to Nancy for taking the photo showing that little red dot. They sure do make us artists smile. 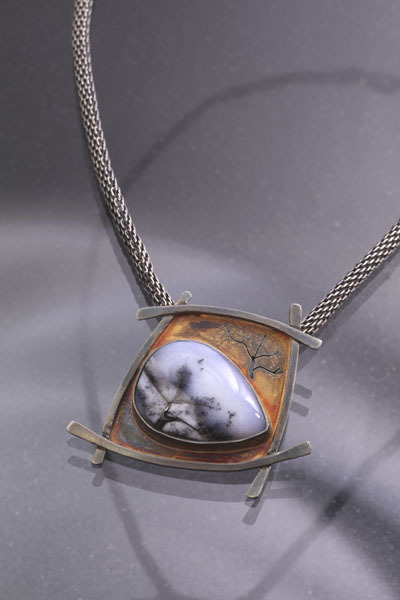 And thanks to Arvada Center for a wonderful exhibition of so many talented Colorado artists. A final thanks to the buyers/collectors of my work. 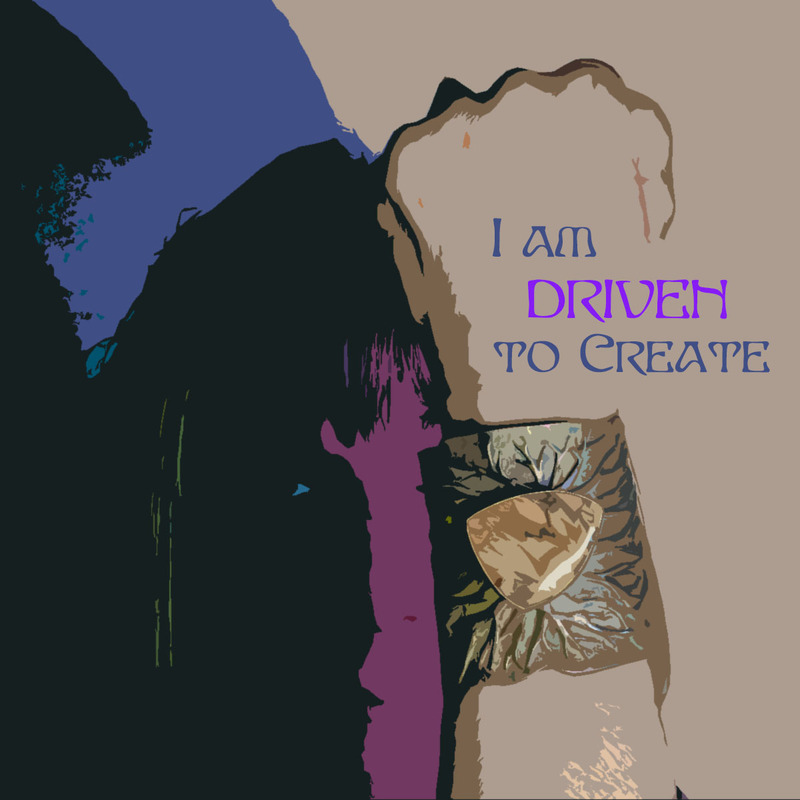 Your purchases affirm what I am doing and I will continue to strive to create wearable works of art.